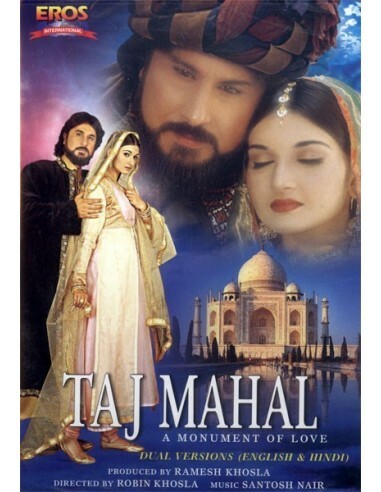 In 1607 India is ruled by the Mughal Empire where Khurram, son of the Emperor, wants to marry Arjumand but although the Emperor gives his blessings, his manipulative stepmother Nurjahan forbids it becauses she wants her daughter to be the next queen. Khurram refuses to marry her daughter and relinquishes his status as crown prince so he can marry Arjumand. Nurjahan conspires to have Khurram killed so they flee to the mountains. Arjumand's father is arrested for helping them, Khurram swears vengeance. Arjumand and Khurram have two sons while in hiding. Nurjahan has the general kidnap the children as hostages while the Emperor is on his deathbed. Khurram is wild with rage; he attacks the general's camp only to find out that his sons have been taken to Queen Nurjahan's chamber. He goes to his dying father who by now realizes his mistake. Khurram tells him about his sons being taken in as hostages by Nurjahan. The Emperor declares Khurram to be the next Emperor and gets Nurjahan arrested. The Emperor gives Khurram the title of Shah Jahan. The entire empire is blessed with a loving and caring King and Queen. Khurram has to leave for war to defend his empire. Khurram goes to war and is making plans to attack when he gets the message that Arjumand who is with child has followed him. He goes to meet her but loses his way. Then when he does find her she is on her deathbed and has only a few more moments to live. Khurram promises to build her a monument which will be a symbol of their love for centuries to come. Arjumand dies in his arms. Twenty years pass as the monument is built and Khurram grows old. A war of succession breaks out between his two sons, his children are so power hungry they have their father thrown into prison. Khurram only asks for a prison cell where he can view the Taj Mahal and remember his life with Arjumand.. He dies in the prison holding the memory of Arjumand close to his heart.